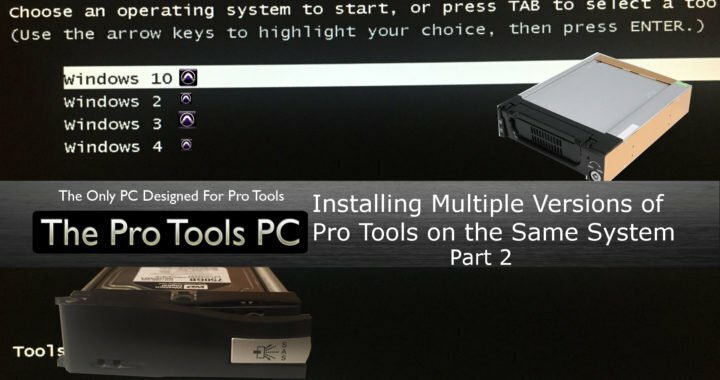 In the previous article we discussed options for removable drive systems in order to run multiple operating systems and multiple versions of Pro Tools on the same system. In this article I wanted to go a step further. Lets install multiple operating systems on a drive. As I stated before. There is risk involved. My recommendation is to not use your current operating system drive. Keep it intact so you have a drive to default back to should problems arise. Be very cautious of any other drives in the system. In most cases, I would recommend disconnecting as many drives as possible. There is a lot of variables and options when doing this, so be cautious. There must be some planning before moving forward. This is not a situation where you want to make things up as you go. If you don't have these answers, research or ask questions until you are feeling comfortable. How\where to format and partition your hard drive? How many partitions total and what partitioning table to use? Software prepared for partition management and cloning-imaging? 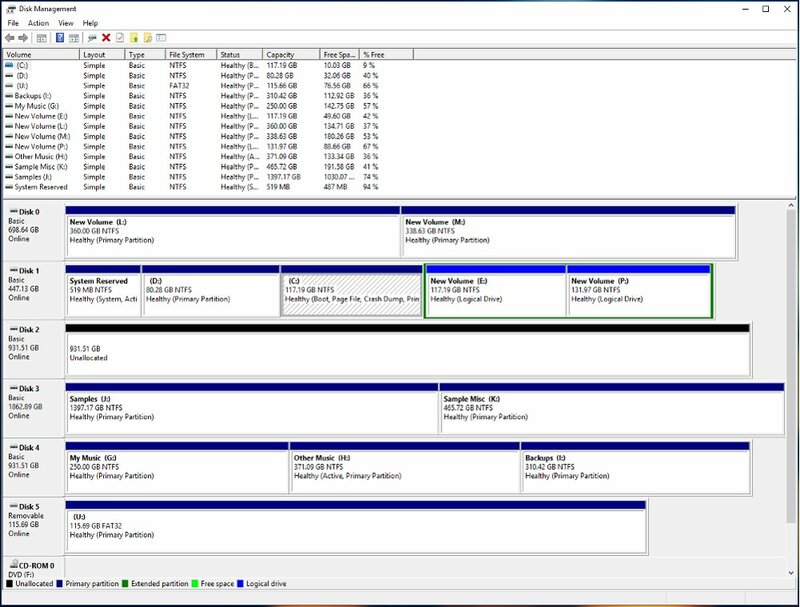 The easiest way to format and partition a drive is to connect it to a “working” system. Then you can format and create the partitions through Windows Disk Manager (or other 3rd party software). The other option is to connect the drive into the new system, format and create the first partition as you install windows. Then after the system is up and going, you would come back and create the rest of the partitions. 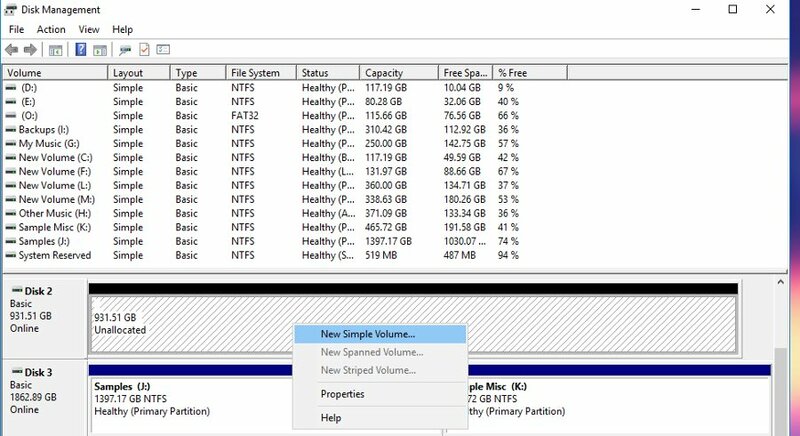 The major benefit of creating the partitions ahead of time on a working system is that it lets you mess around with the partition sizes, change them, delete them, and re do them all you want with no risk. Please be cautious about the other hard drives appearing in Disk Management! If you do the format and partition while installing Windows, it is much more difficult to come back and change the size of the first partition that you created. Another hint, be sure the first partition you create is the same size or smaller than the rest of the partitions. This will avoid any problems when cloning or imaging that partition to the other partitions. 1 variable here, is if you know enough, you could boot into Command Prompt on the Windows Install disc on the new system and then create and format partitions through there. That is a bit to in depth to cover here. 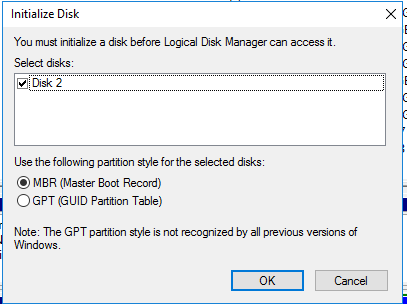 The next question is “how many partitions do I want and should I use MBR or GPT?” Unfortunately, this also involves question 3. In order to answer this question, it helps to understand the difference. UEFI is the more “modern” method of hardware protection and control of the system. You can think of it as a small application that lives on top of the bios. It's purpose is to provide a layer of security for the bios (hardware). This is how Macs and all "store bought" systems are configured today. Typically, when you use UEFI, you would format your drive with a GPT partition table, NOT an MBR. If you are NOT going to use UEFI, you typically create your partition tables as MBR. The exception here has to do with drive size. Anything over 2TB MUST be formatted as GPT. That is the MBR limit in size. You can use GPT partitioned drives on a bios/MBR based system and vice versa. I could continue to ramble with details and preferences. I would encourage you to read up on this in your decision making. You will need to consult your motherboard manufacturer on how to install Windows with or without UEFI. They have been attempting to make this a bit tricky and typically default with UEFI unless you make the setting changes for it not to, before you install Windows. The reason we needed to answer the above question first, is that it tells us how and how many partitions we can create. Using MBR, you can create 4 Primary partitions or you could do 3 Primary and 1 Extended partition as example. Inside the Extended partition, we can create Logical partitions, which are still bootable. A GPT formatted drive can do up to 128 partitions, and no need to mess with Extended partitions. There are only 26 letters to use for drive labeling though. So it gets a bit tricky to go above that. A "New Simple Volume" is where you will create and size your partitions. You will select your drive letter, name along with your block size. Now multiple MBR partitions have been created. The green outline represents an Extended Volume containing a couple Logical Volumes. The reason I mention having your software prepared, is that this again will require research and hopefully software you have used previously or experimented with. This is not something you want to jump into last minute or in a hurry. The first decision is how to handle boot management. Windows will handle this on its own if you like. I have had issues of copying images to drives and Windows not picking them up right away to add to the boot record and having to do it manually. My preference is to use EasyBCD as the boot management software. It makes it very simple to create, delete, and manage your partitions. The next decision is how to get Windows installed on the other partitions. You have 3 real options. Create an image and restore the image to the other partitions. Use cloning software to clone it to the other partitions. Oddly, the easiest question is “what OS do I use”. At this point in time, I am recommending Windows 10 except for specific situations someone might have. Hardware and software development for Windows 7 has slowed down immensely in the last year. I am seeing more and more problems related to Windows 7. It was released in 2009, so I would say it has been a good run! What version to use, Home or Pro? comes up frequently. For our needs in audio/video, it comes down to 1 minor benefit. In Pro, updates can be deferred. There are ways around this as I have posted about here previously. My preference is to use cloning software. My workflow is to use this first partition as my base install. Everything (except Pro Tools and Pace) gets installed on this partition AFTER I know the software and plugins have been tested, functional, and I want them in my “normal” workflow. So after I get Windows installed, do my tweaking and basic software installs including my trusted plugins. Then I clone it to other partitions. I will use these partitions for different purposes. 1 will be for actual work, another will be other Pro Tools version installs, another for software testing, experimenting, etc. Anytime I want to clean a partition up or start over on it, I just clone my initial image to it. As long as I keep my plugins up to date on that image, I can have a clean image and Pro Tools up and going in 10-15 Minutes. My Pro Tools installs are now always on clean partitions that it has never been installed onto before. The things like preference settings, IO settings, etc. in Pro Tools are quickly managed by my Trasher app. The other option is to create an image of this clean install. Store this image on an internal or external drive, then restore the image to the partition or partitions where you want it. There is lots of software available for both of these purposes. Casper, Paragon Backup and Restore, Macrium, and many others are available. Just be aware that some programs will not work well with UEFI based systems. So please research this ahead of time. A VSS (Volume Shadow Service) is the most common error to see if it is not compatible. I have previously done a couple videos on creating images and restoring images with Paragon. I had to graze over many variables, possibilities, and topics in this post. As you can see, it is a lot to cover and I could have split it into multiple other posts. If there are any potential topics or questions you have or would like to see covered in more depth, please ask. Posted in System Maintenance, Tutorials and tagged partitions, support, Tips, Tutorial, Windows, Windows 10, Windows Disk Manager.